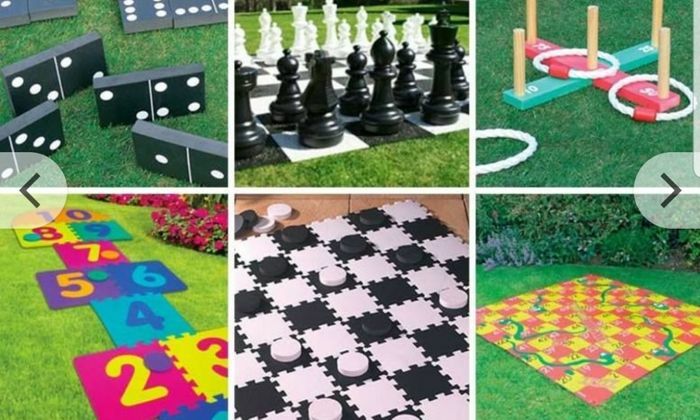 From £3.99 Giant Outdoor Garden Games - 16 Options! Get a giant garden game. Choose from 16 different outdoor games. Including boules, draughts, chess, dominoes, limbo and many more! Get everyone involved in some family fun. A great idea for garden parties and BBQs. What a great find, hopefully it will keep the kids amused when they come to visit. Thank you for posting this. Wow these are a bargain. Thanks so much for sharing wth us. I have never used Wowcher before, has anyone else, and are they reliable? Yes I’ve used wowcher several times . I have had a good service from them . you can go to your account and look up your orders if you have any query and contact them. Also if you purchase a voucher but don’t redeem it you can swap it for another item . I would re commend this site . But I have just looked up this item in wowcher and you need to be aware that the games are various prices- starting at £3 99 for the boules set . The snakes and ladders and chess sets are more expensive . £ 12 or so . Still great for summer fun in the garden though . thank you for posting. Great with the summer coming and to keep not just the kids entertained!